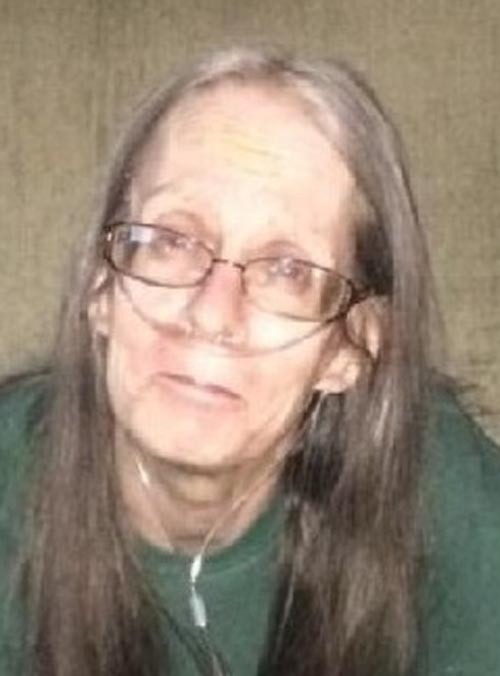 Christy Moffett, age 60, of Aurora, passed away on Monday, August 27, 2018, at Memorial Hospital in Aurora. A Memorial Service will be 12:00 P.M. Saturday, September 15th, 2018 at the Pleasant View Bible Church in Aurora. Rev. Bob Gannon will officiate. Christy’s wishes were to be cremated. Condolences may be e-mailed to the family through the mortuary website at www.higbymortuary.com. Christy Sue Moffett, the daughter of Vern and Marlene (Sass) Reed, was born in Omaha, Nebraska on March 2, 1958 and passed away in Aurora, Nebraska on August 27, 2018, at the age of 60. She grew up in Bennington, Nebraska and graduated from Bennington High School in 1976. After her graduation she lived in Colorado where her two children were born, Chad and Charday. Christy was united in marriage to James Moffett in 1992 at Central City, Nebraska. After their marriage they lived in Marquette where she worked for Champion in York and the Aurora Mall. She enjoyed spending time with her family, especially keeping track of what her grandkids were doing. She also enjoyed reading. She was preceded in death by her grandparents and several aunts and uncles. Those left to cherish her memory are her husband, Jim of Aurora; son, Chad of Colorado; daughter, Charday of Arizona; step-son, Matt Moffett of North Carolina; parents, Vern and Marlene Reed of Bennington; 10 grandchildren, Kadence, Levi, Sophie, Skyler, Aubrey, Zane, Alexis, Van, Davin & Ender. She is also survived by her brothers, Don (Teresa) Reed of Bettendorf, IA, Greg (Nancy) Reed of Blair, Marty (Katie) Reed of Omaha, Jim Reed of Omaha; sister, Michele (Brian) Reed-Ball of Omaha and other family and friends.